It’s that time of year again! This is one of the most successful fundraisers we take part in here for the Pride of the West. 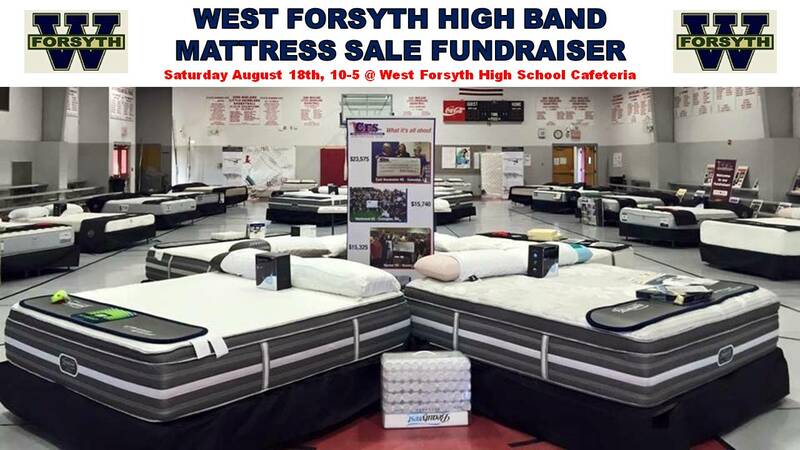 We invite you to join with us in raising money for the band by selling top-quality mattresses with little effort on your part! All you have to do is pass out flyers, share the posts on Facebook or get on the phone and make a few calls to your friends, relatives and neighbors. When someone brings your flyer to the school, they can browse through a variety of mattresses on-site and have their ideal pick delivered to their home — it’s super-simple! 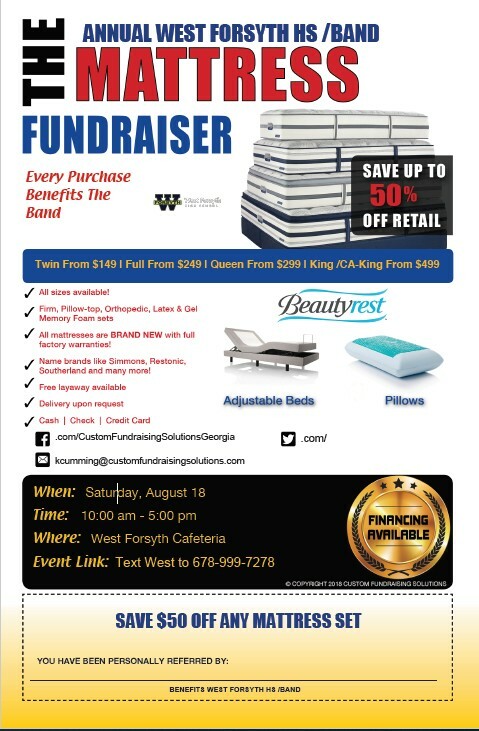 In the end, the band benefits and customers get a great deal on top brand mattresses.